Over the past few weeks, I think I have changed more of my woodworking techniques than I had in the past several years. Last week I shared my newest technique to hog away dovetail waste. Today I am writing about re-sawing lumber using a band saw. As I ran into a need for thin lumber for a series of bottle dividers for a project I’m building, I decided to try a different technique. 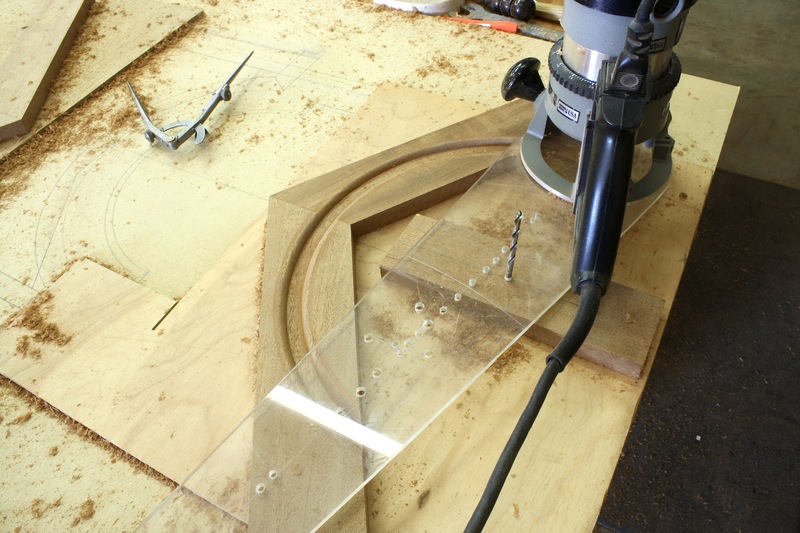 In the past, I used my favorite woodworking jig for any re-saw work. (Read about it, here.) 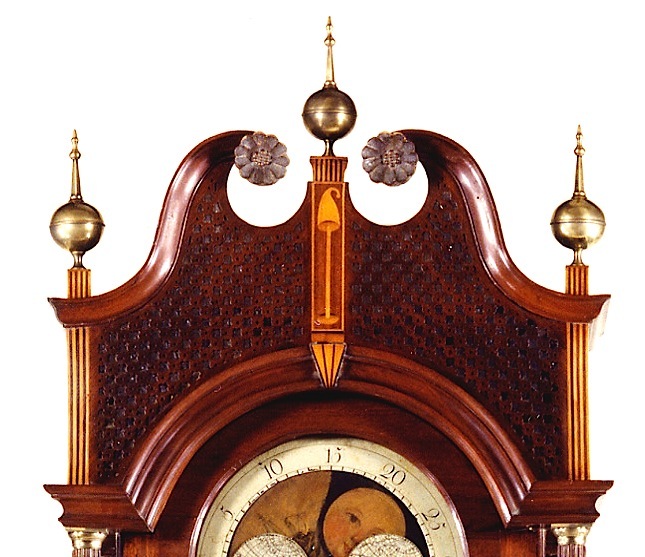 I would set the fence at the natural cutting angle of my band saw, then slice the lumber into the desired thickness – without setting the appropriate angle, my saw would seldom cut straight. With this new jig, I no longer need to find any cutting angle. 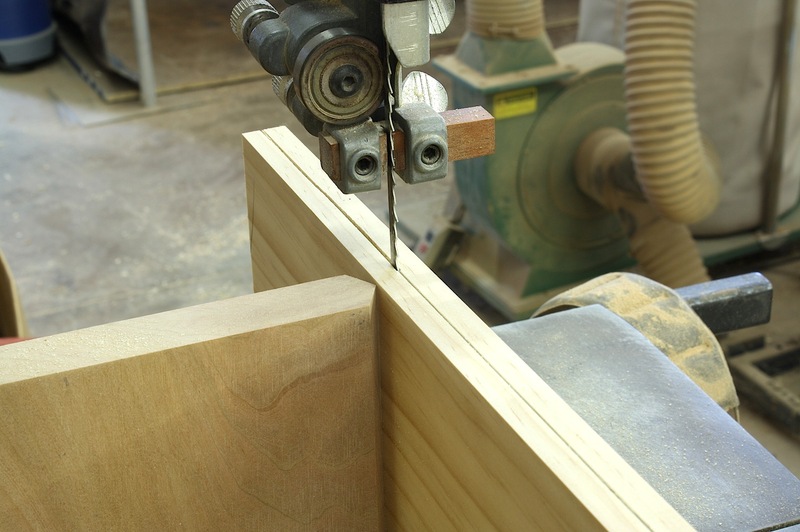 The jig is easy to build and set, but this technique does require the operator to keep the cut aligned. 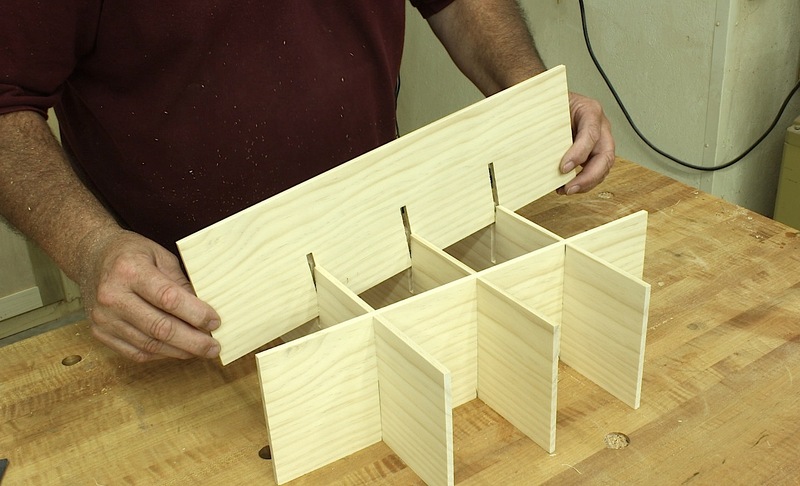 The jig consists of a piece of wood that has an “almost point” on one edge – I cut a 30-degree angle from both faces, but left the smallest section (1/16″) square at the center – attached to a plywood platform that is easy to clamp in place. 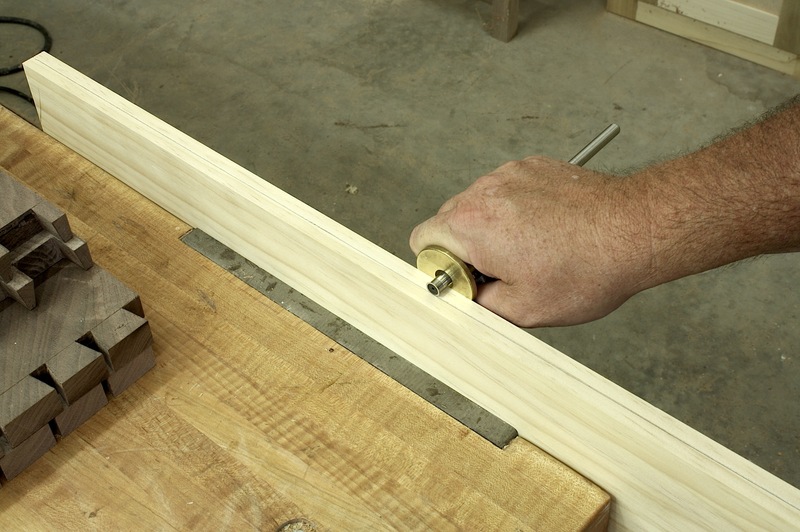 To set the jig, position the point away from your blade at whatever thickness you need, then clamp it in place. I use a small C-clamp. 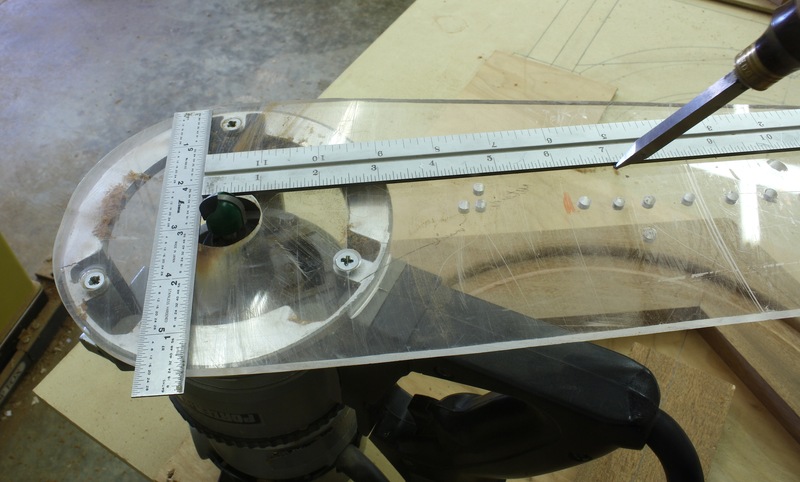 The height of your jig is arbitrary however, I find that a taller jig better allows me to keep my workpiece vertical to my blade throughout the cut. 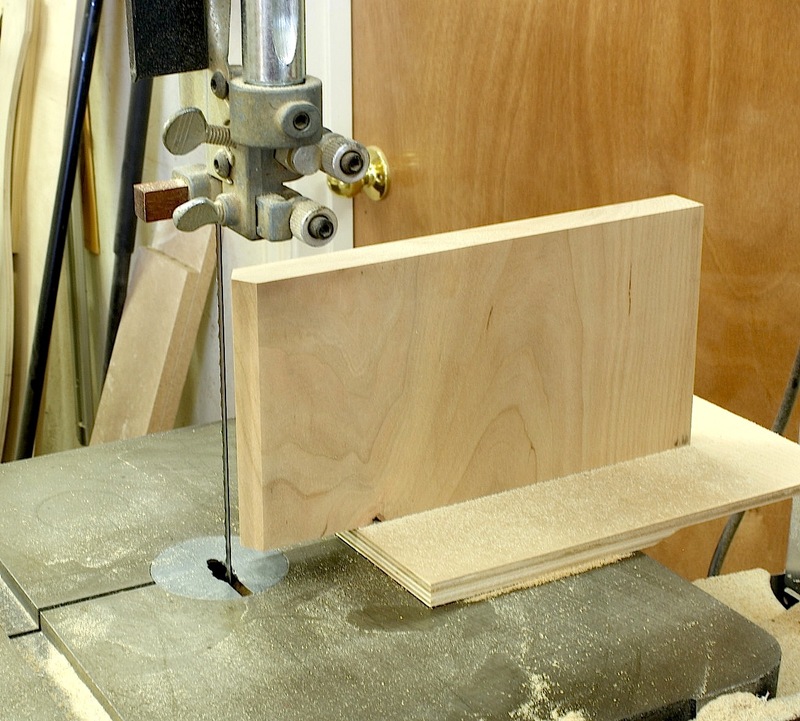 To prepare your stock, use a marking gauge to set a scribeline along one edge of your board. (I reinforced the scribe with a pencil to account for poor eyesight.) In this scenario I was looking to simply rip the stock in half, but you could just as easily setup to cut multiple pieces. The actual cut is dependent on you. That is, you not only need to feed the stock at an acceptable rate for your saw and blade, you also need to keep the scribed line at the blade as you cut. With a sharp blade this should be easy, but if your blade is dull or loosely tensioned you could be in for a constant swerving and a less-than-stellar cut. As you begin to cut, nudge the stock to your jig. Your workpiece is held straight and the cut is positioned at your layout. Slowly push your board along the cut making slight adjustments to keep saw blade at the cut line. As you near the end of the cut, make sure you do not locate a finger, hand or other body part directly in line with the blade. 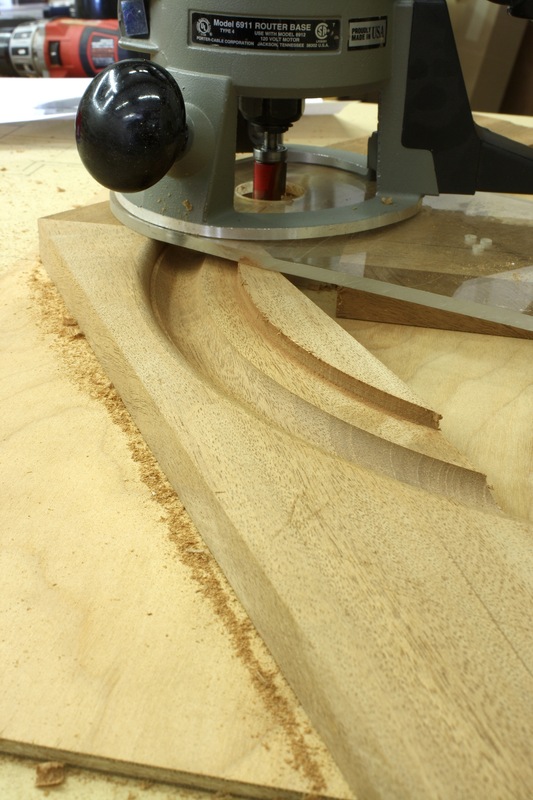 I like to reach beyond the blade to grasp the workpiece and pull it through the last couple inches of the cut.